Brighten up your website with some funky typography! Gone are the days when fonts on a website were limited to standard PC fonts such as Arial, Verdana, Times New Roman. I’m not so sure about how beautiful some of the fonts are! 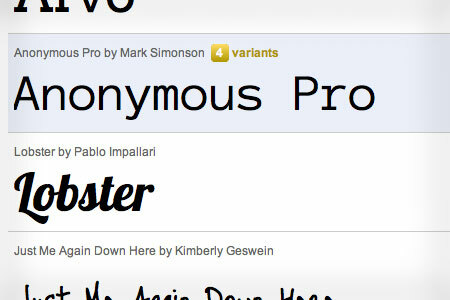 Here’s a link to Google Webfonts, judge for yourself! ← When is a call to action not a call to action?